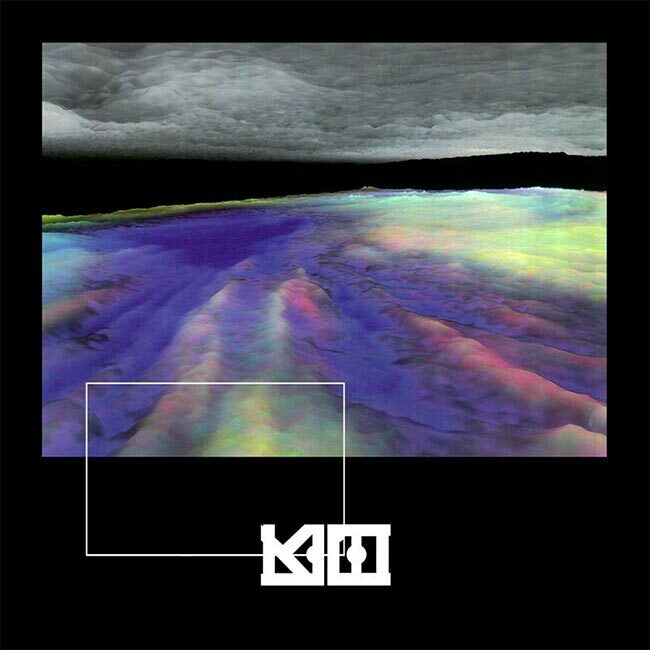 On KOCH, Lee Gamble is a man more concerned with apparitions and possibilities than he is with cold hard reality. His music flows from some unknown source beyond the file, generating ephemeral .wav forms in real time that hint at sound or structure without revealing their intent or congealing into form. They sound as though they might never have been recorded — and yet there is direction; there is consciousness. KOCH is hardly anything, really, and yet is a whole lot at the same time; it is a beautiful mystic bowl ready to be filled with another’s consciousness. It is as much abstraction and concept as it is tangible product, as much particle as it is construct. Compared to Gamble’s previous records, KOCH is similar yet different. It still sounds like a dubbish techno record heard from the chill room on the downhill from a mighty trip. Somewhere there are people dancing and loving life, but here we are simply letting the music be and feeling it course in and out of our awareness, the intermittent kick drum providing the meditative pulse that guides our wandering thoughts toward some momentary ultimate truth. Unlike his previous PAN release, Dutch Tvashar Plumes, this record comes in waves, occasionally issuing molecular pulses that urge us to the dance floor, in a trance state between transcendental exhalation and definite limb-centric physicality. Tracks such as “Motor System”, “Hmix”, and “Jove Lineup” re-imagine brutish minimal techno beatings as hallucinatory funk jams, with half-grooves that squirm beneath clouds of dingy reverb artifacts. These numbers have the potential for generating slippery free “dance” movements and general giddiness in proportion to their neuron ignition capabilities, which is to say that one so inclined can fully feel these tracks from crown to heel. The soft pummeling of the club-oriented material serves as a worldly anchor reminding us of who and when we are, as we drift into the expressionistic and beatless — though not wholly arrhythmic — sound design that exemplifies the majority of the record, to soundtrack planets and isolation tanks alike. “Voxel City Spirals” and the gleaming “Yehudi Lights over Tottenham” are fine examples of said stuffs, chronicling the adventures of found objects both real and synthesized, whose tonal characteristics have been saved from Pierre Schaeffer’s cutting room floor only to have their fringe frequencies set loose and recast as the natural audio accompaniment to some gaseous realm. The unspecified demeanor and questionable verticality on display in these experiments soothe the listener deeper into a void where Gamble has hidden away the evidence of these lost sounds, providing adequate space for new journeys to be undertaken and worlds to be discovered on repeated listens. KOCH‘s track distribution appears to be as deliberately disfigured as the sounds contained therein. On first listen, I preferred the unbroken mix format of Gamble’s previous full-length, but I’ve come to appreciate the steady and exhaustive flow of the many individual tracks which loosely cohere as KOCH. It feels as though Gamble has further removed himself from the algorithmic journey that his music takes — from the hazy point of his intent to the absolute moment of our interpretation, giving the listener greater freedom to explore the worlds he has created, with as little author-ego interference as possible. Essentially, the story is yet to be determined, as per usual with things, but that seems to be the point here. Says the man himself to Resident Advisor in a recent interview, “… my interest in hallucination, memory, phantasm, deconstruction etc. continues. “It’s not as explicit — but sure, my interest in hallucination, memory, phantasm, deconstruction etc. continues. As I’ve said before, all producers and artists have some reason(s) to create something. It was nice to be very specific about those interests with the records from 2012 though, so people had some context to listen with. The idea is to be gathered and conjured from the whispered skeletons of sounds, generated by spaces not as they are but as they could be if one were to hear them from the right angle at the right time of the day, from the right point in a conversation, from the exact moment in which the track enters the body and fuses with the stimuli exciting our nerves, at the same time producing undulations of actions and reactions, as well as overlapping sensations of life lived and desired. It is his record, but our idea. Again, this is nothing special in and of itself; everyone hears records differently — but all too often, albums are engineered to express a particular this or that, regardless of context. KOCH is a shapeshifting device made for the people, wherever they may be. Its properties can be exploited to drift blissfully through walls or unite synapses. It might even make you move your hips. What it does not do is impose itself upon your consciousness. There are no thoughts to passively ingest, no hooks to hum or wanky leads to admire. Sounds simply come and go, pan left and right, filter and resonate and decay into infinite reverberations. They resemble distant words or sights or smells or feelings, from times past backlogged in our circuitry, waiting to be enticed from the behind the veil and reformulated to represent the Then and Now and Might Be.